We got an early start this morning. The plan was to take a tour bus called Miratours in the historic district of Lima. Both tickets for the three and a half hour tour cost us 150 soles which is about 50 dollars U.S.. The trip took us down a main road in Lima where there are a lot of shopping centers and really expensive restaurantes that we probably will not visit this trip. We got to see a ruin site that is located right in the city of Miraflores that is called Huaca Pucllana. From my understanding, there used to be a lot of ruins located in Lima, however, recent construction has replaced those sights with neighborhoods. Alisa and I took a cab the other day, and we were driving thought a set of newer neighborhoods. In the center was a huge stone structure that stuck out. I asked our driver what that was, and he said that it is what remained of the ruins that were there before they started the construction. Our bus made its way to the Historic City Center where we got off and took a quick tour of one of the most beautiful Catholic Churches I have ever visited called La Catedral De lima; the only one that was more impressive is the one found in the Zocalo in Mexico City. Once off the bus, our guide walked us inside the church and started telling us about the history of the building which today stands the third renovation due to the seismic activity in the area. 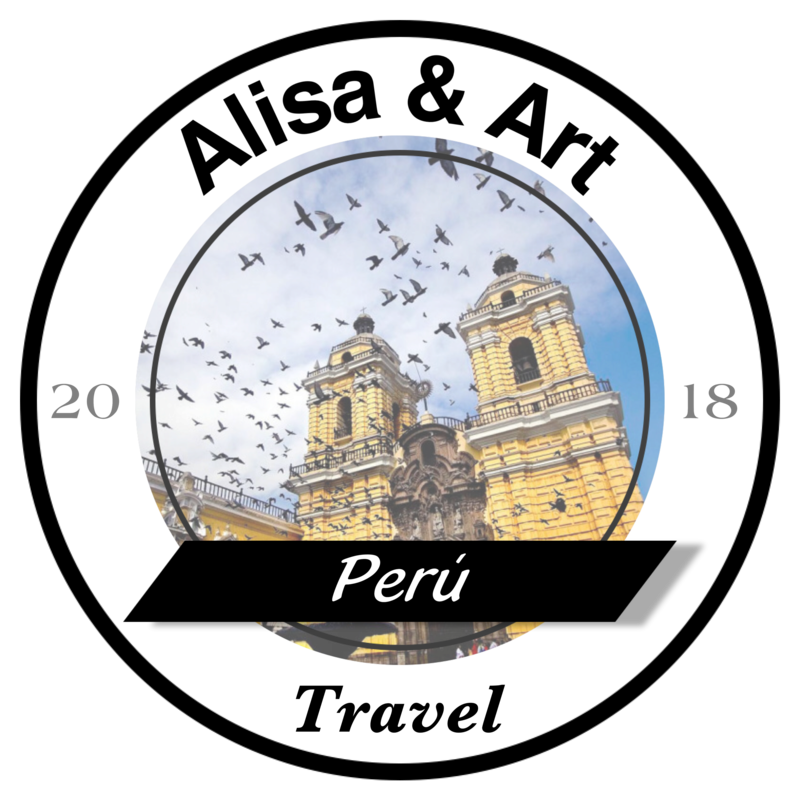 Many of the beautiful designs inside are recreates based on the original work, however, they have been reengineered using modern construction that will allow them to resist the seismic conditions that Peru experiences. In addition to the history of the building, we also got to explore some of the underground rooms where a lot of crypts were housed. We did not see many remains, however, we are planning on visiting another church nearby that is famous for number of remains that are still underneath in the catacombs. Once our tour of the church was over, we were given an opportunity to walk around the center square and check out the amazing architecture that is quite unique in Latin America. While all of the buildings share the same amazing facades as others in Latin America, these buildings each have giant wooden balconies. While they look. Amazing in photographs, nothing compares to the size of them in person. It is really amazing to see. In the center of the area which is called La Plaza Mayor, there is a something really special–well, according to our tour guide. In the center of the plaza is a water fountain which according to our tour guide is the the oldest in the Americas. As I am writing this I am on a Grey Hound like bus called Cruz del Sur, so I can’t really look up any information about this fountain, what I do know from the top of my head is that it is generally called La Pileta de la Plaza Mayor de Lima. I don’t know for sure if it is indeed the oldest in the Americas, but it is definitely impressive and very beautiful at night. We returned to Miraflores around two in the afternoon. We didn’t have to meet up with Alynn until 3:55, so we decided to pick up a sandwich and take it back to our apartment so we could have some lunch before heading out again. The day before, I had contacted Gérman a local driver at the airport who gave us his number in case we needed another ride during our trip. He showed up a little early so we headed down and we were off again to the airport. Gérman is really nice. While driving through the city he gave a lot of information about the history, things to look out for, and recommended things to do if we go to particular areas. Almost all of it is new information for me, so unless I write it down, it would be almost impossible to remember. I tried as best as I could to keep track, however, the things that were of most interest to us, I took notes on my phone. We arrived at the airport around the time that Alynn’s flight was scheduled to arrive, however, it was about 20 minutes delayed, so we decided to find a place to get a cup of coffee. We originally told her that we would meet her in the baggage claim, but we were not allowed to enter because she was on a international flight. We hoped that there was some way to get a hold of her when she got off because most people will opt to not have cell service and just use wifi on the travels. If that were the case, there would be no way to get a hold of her to let her know that we couldn’t meet her where we said we would be. Luckily she has an international plan and as soon as she landed, we were able to coordinate a meeting place. Once we found each other, we returned to the AirBnB and we were ready to plan the next month here in Lima and Peru. We decided to take her to Miraflores to get a bite to eat, so we loaded onto the bus and as expected by now in our trip so far, the ride was unpredictable and wild fun. We got to Miraflores around 6 in the evening and the first thing we did was walk through Kennedy park or as we call it, the cat park. It’s a lot of fun to see them run around and the reaction on people’s face when they realize that there are cats running around wild in the middle of a city. We found a small restaurant near the park and ate a nice meal outside. Our waiter Marlin, was either really nervous, really crazy, or was trying really hard to make a good impression on us because he seemed like he had just drank about 8 cups of coffee before we sat down. He was running around doing every single thing for us. If we dropped a napkin he was right there to pick it up and run back to his post. If we needed something else he ran over a quick as he could to see to our needs. At the end of our meal, after we paid, he said that he wanted to give us a gift. He grabbed one of the coasters and said, “this is a gift for you, but don’t make it obvious.” We looked at each other awkwardly. I put the coaster in our to-go bag and he ran back and stuffed it deeper in the bag and said something to the effect that nobody can know that we have it. It was awkward, but we complied. We returned to the apartment without any incident and had a good night’s rest that evening.